The Resort at Governors Crossing offers guest to the Smoky Mountains the finest in accommodations. Whether it is a business trip, weekend getaway or a family vacation The Resort has just what today smart traveler is looking for. With a choice of king or queen studio suites, one, two or three bedroom condominiums plus the finest in guest amenities you and your family will think of us as your home away from home. 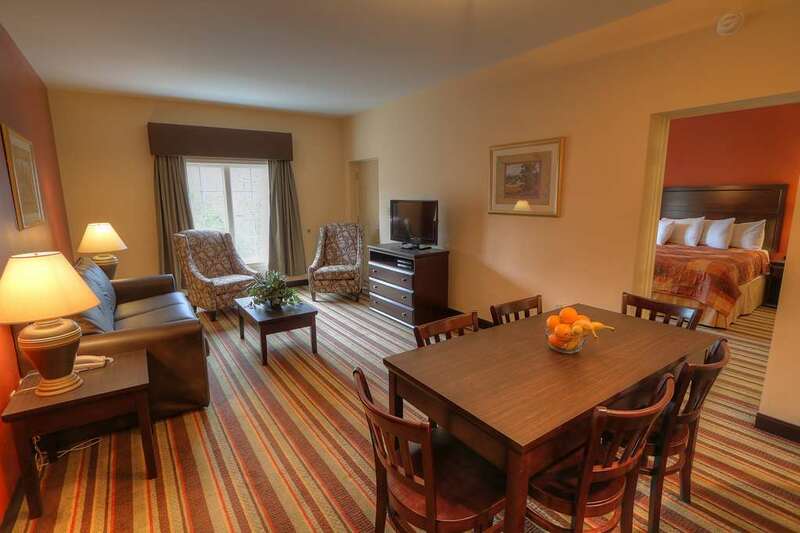 Located at the Governors Crossing; The Resort is within walking distance to fine dinning and shopping, and has direct easy access to Dollywood via the Veterans Blvd bypass. The Governors Crossing has public transportation provided by the city trolley service. All guest units have full kitchens, jetted tubs in the bathroom, DVD players, and wireless Internet access. Most units also feature washer/dryers, private balconies and some even have gas fireplaces. The Resort features interior corridors with keyed entry and 24 hour front desk service. For pure fun and relaxation we offer our indoor and outdoor water park facilities. With 5 pools, 2 Jacuzzis, water slides, a lazy river, dry sauna, plus large sunning deck there is something for all ages. The Resort also has a fitness center, game room, and DVD rentals. No wonder The Resort is the most fun place to stay and play in the Smokies! Located in Governors Crossing, shopping and entertainment complex. Offering easy access to Dollywood and Splash Country via the new Veterans Boulevard. With in minutes, you can be racing go-carts, enjoying the Dixie Stampede or The Great Smoky Mountain National Park. The Resort overlooks the best brand name shopping outlet in the world. The areas best dining in the Smokies is in our parking lot. Applebees, Texas Roadhouse, Olive Garden, Red Lobster, Fuddruckers, Mr. Gattis and TGI Fridays are more than enough to satisfy any age or appetite.